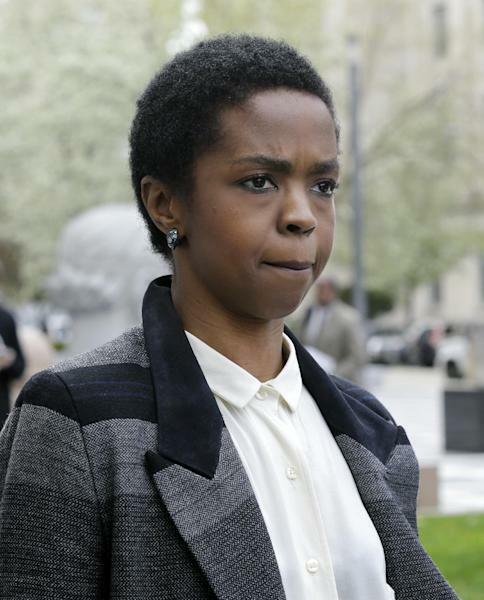 NEWARK, N.J. (AP) — A federal judge postponed Lauryn Hill's tax evasion sentencing on Monday but not before scolding the eight-time Grammy-winning singer for reneging on a promise to make restitution by now. Hill pleaded guilty last year to not paying federal taxes on $1.8 million earned from 2005 to 2007. At that time, her attorney said she would pay restitution by the time of her sentencing. It was revealed Monday in court that Hill has paid $50,000 of a total of $554,000. U.S. Magistrate Judge Madeline Cox Arleo criticized her for relying on the promise of a recording contract to pay the tax bill. "This is not someone who stands before the court penniless," Arleo said to Hill's attorney, Nathan Hochman. "This is a criminal matter. Actions speak louder than words, and there has been no effort here to pay these taxes." The reclusive singer didn't speak during the proceeding and left the court without commenting. Arleo rescheduled the sentencing for May 6. The total Hill owes is in dispute. Hochman contends it is slightly less than $1 million, counting civil penalties and interest, while the U.S. attorney's office estimates it at a little more than $1 million. Hochman accused the government of trying to pad the amount because once it surpasses $1 million, the sentencing range for Hill under federal guidelines would increase from 24 to 30 months to 30 to 36 months. Whatever the range is, Hochman said he would seek a probationary sentence for Hill, a 37-year-old South Orange resident who has six children. After the proceeding, Hochman said Hill was about to sign a loan against two properties that would allow her to pay the remainder of the restitution before her next court date. 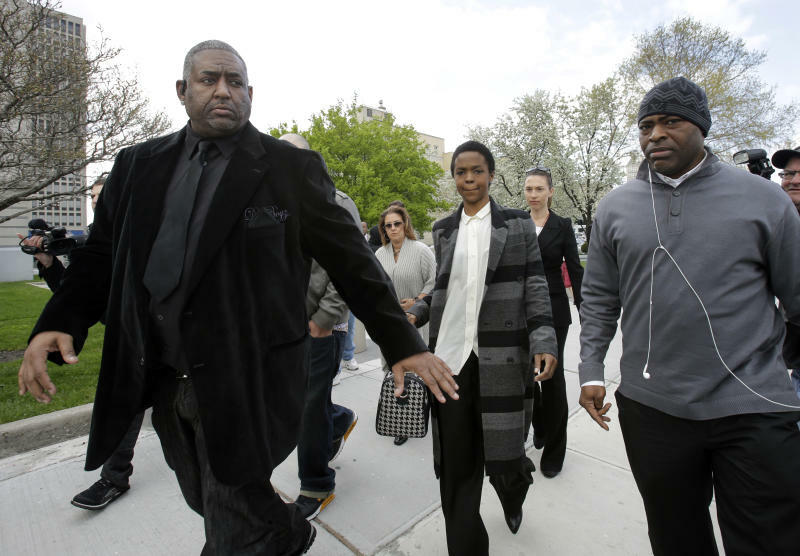 "I fully expect that by May 3 Ms. Hill will be able to pay back all the restitution she has," Hochman said. Hill has a recording contract but hasn't yet realized any revenue from it, Hochman said outside the courtroom. Hill got her start with The Fugees and began her solo career in 1998 with the acclaimed album "The Miseducation of Lauryn Hill." At the time of her June arrest, Hill wrote in a long post on the Internet how she had rejected pop culture's "climate of hostility, false entitlement, manipulation, racial prejudice, sexism and ageism." She also wrote that she hadn't paid taxes since she withdrew from society to guarantee her family's safety but that she had always intended to rectify the situation. "When I was working consistently without being affected by the interferences mentioned above, I filed and paid my taxes," she wrote. "This only stopped when it was necessary to withdraw from society, in order to guarantee the safety and well-being of myself and my family."